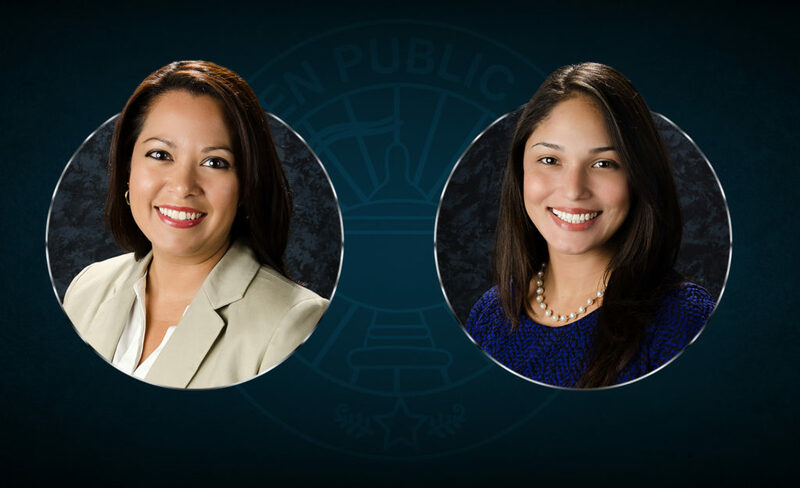 Adriana Arellano was recently appointed as principal at Rodriguez Elementary and Jaymie Galan was appointed as interim principal for Bowie Elementary. Arellano will serve as principal at Rodriguez after having served as principal at Bowie since 2016. She has been part of HCISD since 2008. She began her educational career as a high-school math teacher and taught for 11 years before becoming the assistant principal at Bowie in 2012. With a total of 17 years in education, Arellano has both secondary and elementary education experience. She received her Bachelors of Science from the University of Texas-Pan American, and her Masters in Education from the University of Texas at Brownsville. After serving as assistant principal at Treasure Hills Elementary for the last five years, Galan has been named as interim principal for Bowie. She has a total of 18 years in education having served as a teacher for Weslaco ISD then joining HCISD to serve as a Facilitator and Assistant Principal. She is a graduate of the University of Texas-Pan American, having received a Bachelor of Arts in History and Spanish and a Masters of Education in Elementary Bilingual and Bi-cultural Education.